According to Melbourne-based mining consultant Surbiton Associates, gold output in 2017–2018 was only eight tonnes less than the all-time record set in 1997–1998. Gold production in the June quarter hit 81 tonnes, which was a nine per cent increase since the March 2018 quarter, and was only 1.5 tonnes lower than the all-time quarterly record. Newmont Mining’s Boddington came out as Australia’s largest gold producer in the year of 2017 to 2018, producing 3000 oz more than the Super Pit. Close said that many of Australia’s gold treatment plants were producing at full or even above their rated capacity. A considerable number of smaller operations were also having their toll treated or were selling ore direct to existing mills. “However, despite the buoyant results, gold production may well be lower in the next few quarters,” Close said. 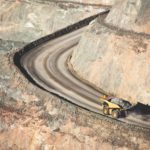 In May, a rock slip in the northeast wall of the Super Pit caused a severe interruption to its mining operations, leading both JV partners Newmont Mining and Barrick Gold to reduce their gold production guidance for 2018. 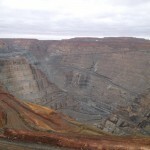 Nevertheless, Subirton reported an increase of 22,000oz in the Super Pit’s gold output to 192,000oz during the quarter. According to Close’s visit to the Super Pit a few weeks ago, remedial work on the slip had not begun. “No doubt Newmont staff were still examining their options,” Surbiton Associates stated. Considering the severity of the slip and the pit configuration, the reduced number of haul trucks coming out of the pit indicates that production in the next few quarters will be affected. Meanwhile, production restart in Cadia in early April demonstrated a quick recovery from its tailings dam breach a month prior. 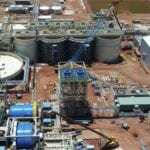 Cadia regained its full-production capability in May, reporting a nine per cent increase in its June quarter output and hitting 156,000oz.